Superintendent Aaron Hopper of Panhandle CUSD is pictured with State Representative Avery Bourne. 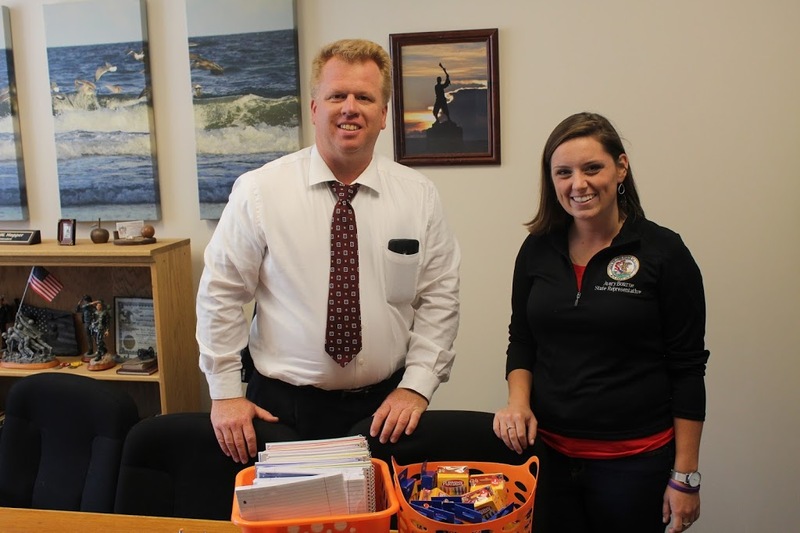 Representative Bourne delivered a number of donated school supply bags to Raymond and Gillespie Grade Schools recently. The supplies were donated by Walgreens and given to Legislators throughout the state to be distributed. Supplies included were: folders, crayons, spiral notebooks, pencils, and various other necessities.